If you are looking for a speaker who fills your event with laughter, energy and instantly usable take-home messages then Anna-Louise is ideal. 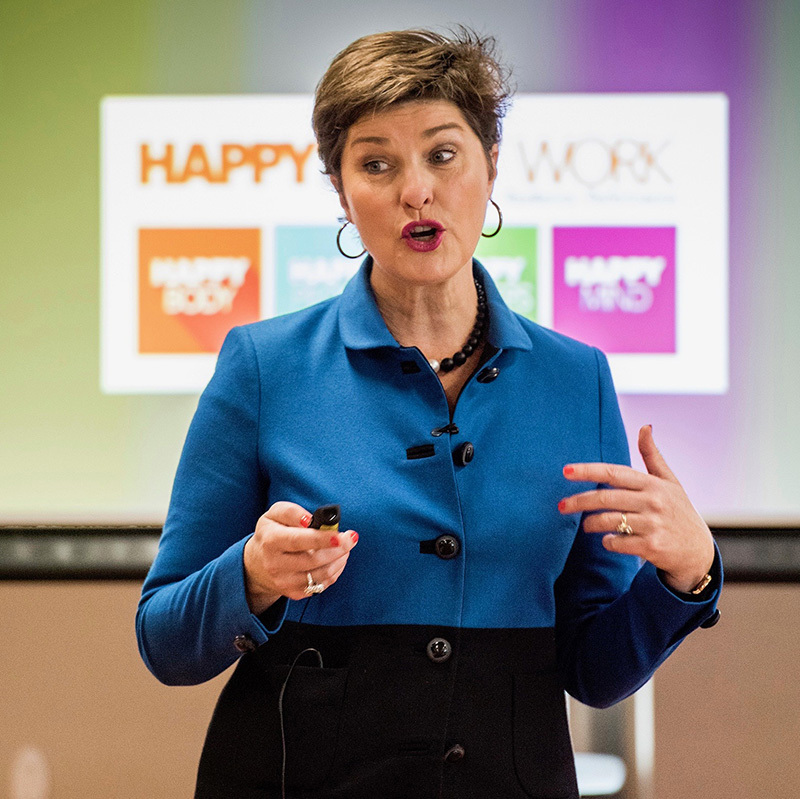 Her interactive, relatable presentations are a great way to energise and educate your people, helping them to be at their best for their customers, patients, students or families. She is adept at engaging audiences large and small, leaving them buzzing about it for days to come! Sometimes it’s not about the big stuff. You don’t need to run marathons, eat kale or meditate for hours every day. In this dynamic, interactive and fun session, you will discover what the latest science says about the small everyday things you can do to keep your batteries charged and your mind calm. Strong teams are built around people who have energy, enthusiasm and passion. If your team feels a little flat, has had a rough patch or is going through lots of change, then this session is an ideal way to support them. They will learn ways to support each other and discover simple everyday strategies they can use to boost their energy and lift their mood at work and home. If you and your people work with patients, clients, customers or students you probably spend your days pouring energy out. Sometimes there comes a time when there is nothing left to give. This interactive, engaging and relatable session allows you to discover simple ways to keep your tank full, not only for yourself but for the people you live with and love. 85% of communication is non verbal. So if your team looks and feels a little flat, chances are your sales might be too. This dynamic, interactive and practical session will help your team to keep their bodies charged and their minds sharp. With a focus on practical tips to manage energy, sleep, body language and posture, this session will add a whole new edge to their sales skills. “Anna-Louise delivered a dynamic, well researched and perfectly pitched presentation. With superb skill, humour and energy, she distilled the essential components of maintaining physical health while occupying a demanding and responsible public role. “Anna-Louise brought an enormous amount of energy into the room, which had a really positive impact on the audience throughout the morning. The energy was highly contagious and made the job of the speakers after her much easier. “Anna–Louise is both highly experienced and charismatic, which came across at our event recently. As an MC, she is warm, professional and insightful. As a presenter, she is knowledgeable, energetic and engaging. Anna-Louise not only thoroughly researched our topics and speakers to bind our program together on the day, she also included our sponsors and exhibitors and understood their products well.